Technological advances and increasing demand for resources are ushering in a new era of human exploitation of the deep-sea that will impact life in the deep oceans in various ways. It is therefore imperative to increase our understanding of deep-sea ecosystems in line with these anthropogenic and climatic impacts. The Deep-Sea Ecosystems SIG aims to ensure that there is at least one meeting of UK deep-sea researchers every year. These activities will be coordinated with other international deep-sea organisations so as not to duplicate efforts. The Deep-Sea Ecosystems SIG will be primarily biologically orientated, but open to cross-discipline collaboration in the tradition of the Challenger Expedition. If you would like more information or have suggestions for SIG meetings please get in touch. The next meeting of the Challenger Society Deep-Sea Ecosystems Special Interest Group will take place on Wednesday 14th November, 9:30-17:00, at the University of Liverpool’s London Campus. 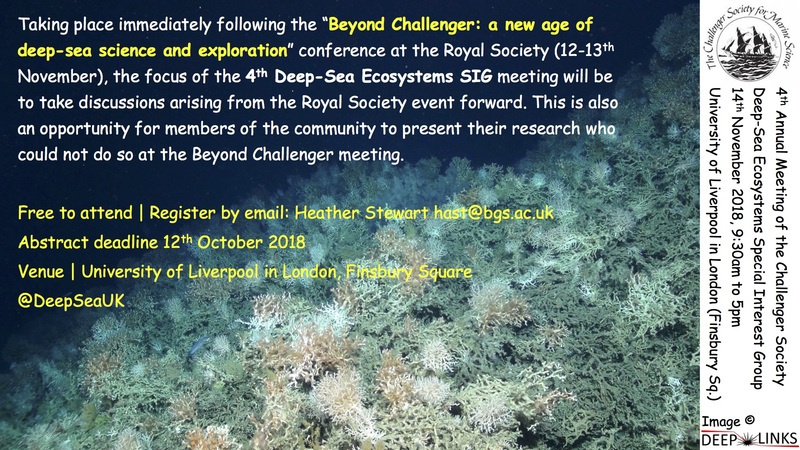 This meeting will take place the day after the “BeyondChallenger: a new age of deep-sea science and exploration” at the Royal Society, London on the 12th and 13th November. 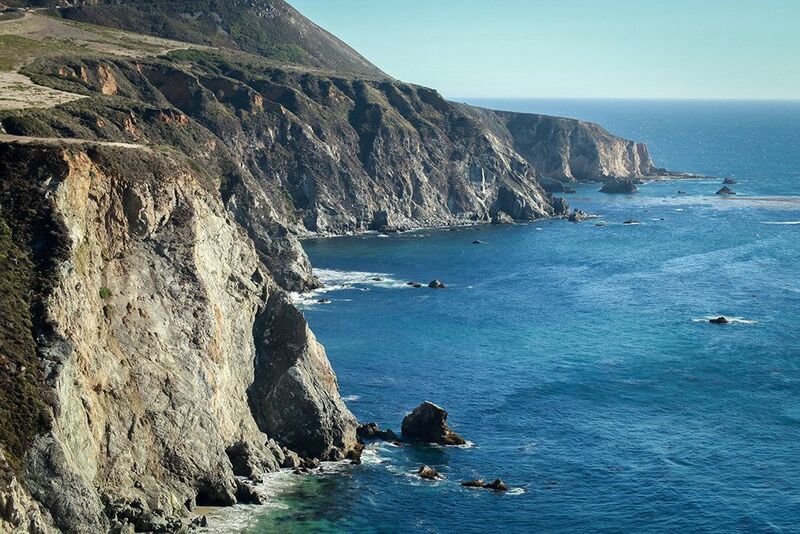 That meeting will explore how recent developments in autonomous and robotic technologies could bring about a step-change in deep-sea research, ultimately revolutionising understanding of global biodiversity. Then follow the confirmation instructions. This list is used by members for topical discussion and to update on SIG activities, with minimal spamming.